Are you a visual learner like me? I can read something over and over again, but the way I will understand it is to see it! 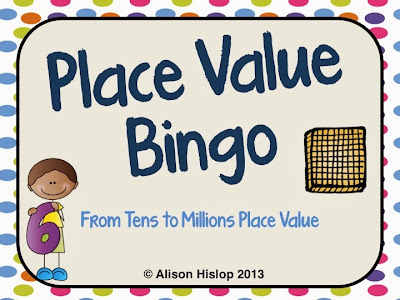 I did a video recently of how to play Place Value Bingo in your classroom. This is a great file that I have been selling on my Teachers Pay Teachers page for some time now and I wanted to share how to play with all of you through a video - so here it is! It is perfect for children in Grade 1 or Grade 5 (and anywhere in-between), depending on how hard you make it! Do you like the look of that game? You can purchase your own copy now! It has just had a revamp!